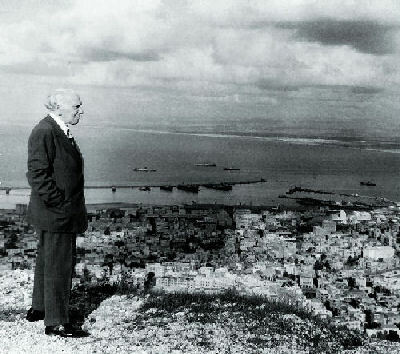 Pinski, the ardent Zionist, immigrated to Israel in 1949 where he lived in Haifa. He was active and productive, writing many plays and essays until he suffered a paralyzing stroke in the summer of 1956. He remained an invalid from then until his death on 11 August 1959. He will always be remembered when the greats of Yiddish literature are discussed. Grandson Gabriel Pinski talks about his grandfather David's feelings towards the state of Israel, and about his life in Israel after making Aliyah. Just click here. David Pinski was interviewed by a Haifa radio station in 1954. You can hear this short, two-minute clip by clicking here.